Home › Knowledge Hub › Thought pieces › How can you get the job you want? The job market in the voluntary sector is the toughest it’s been for a number of years. I’m sure we’ve all come across somewhat terrifying figures of organisations receiving hundreds of applications for one role. So what can you do to develop your skills, and to communicate them to prospective employers? CharityComms’ Vicky Browning recently took part in a Guardian Q&A session on professional development for comms staff and from this, here are some top tips for getting your dream job. If you work in comms, you know your message should be targeted to an audience, and it’s the same with your job application: your covering letter should show you understand the organisation’s values, mission and strategy – and how you can help achieve them. Mirror the language used in the job description, as well as that used in the sector you’re aiming to work in.If you’re coming from a commercial background, you need to demonstrate your understanding of the culture and challenges specific to the voluntary sector (like small budgets). Get some voluntary work under your belt: Reach and the Media Trust both run programmes to match professionals with charities in need of their skills. Demonstrating impact is a phrase I hear a lot in relation to the work that charities do, but you need to apply the principle on a personal level. Show prospective employers how your actions have contributed towards your current organisation’s strategic goals. Don’t just say you have social media experience, explain how you set up a Twitter feed for a specific campaign which engaged X number of people, X% of whom then took a campaign action – and this helped strengthen the charity’s lobbying activity. What are the newest trends in the area you want to work in, and what are you doing to ensure your skills match them? If you want to work in media or PR, for example, can you show that you’re au fait with podcasts, Audioboo, video? The shift from print to digital has changed the way we consume news; the power to generate your own new media content can catch a journalist’s eye – as our very own bloggers have found out.If you attend seminars, read blogs, or attend nfpTweetups to keep on top of changes, let prospective employers know. What if you want to try your hand at something new? Moving across comms functions can seem daunting, but it is not impossible. 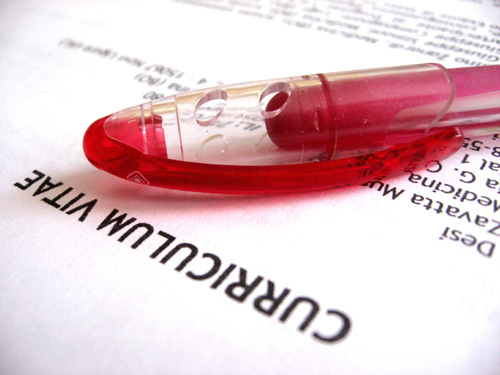 Firstly, pinpoint what skills you’ll need (reading through job adverts can guide you) and find ways to develop them. Your current employer might be able to help, either with training or by allowing you to take on new responsibilities (like pitching in with social media). Finding a mentor is an excellent way to access knowledge and experience of a certain field. CharityComms runs a mentoring scheme for members, allowing them to develop their skills (as well as pick the brain of an experienced comms professional). What are your top tips for career development and landing your ideal job?